Weasel's Journey: Under the sea. One of the days we were in Hawaii we drove to the town of Lahaina and took a submarine ride with Atlantis Adventures. What a great excursion! We saw many beautiful fish and learned a lot about the fascinating and fragile ecosystem of a coral reef. Our guide was very entertaining, keeping a nice balance between factual information and humor. Waiting for the sub to surface. Can you spot it under the water? We passed by this shipwreck. Our guide told us this was Atlantis I but that the company had made some design changes for the Atlantis sub we were on! In reality this was a very old ship whose hull had rusted through. After surfacing we boarded the boat again and headed for shore. We saw several signs of humpback whales: spray from blowholes and tails slapping the water, but I wasn't fast enough to get a picture of any of them. Upon disembarking we walked around the historical town of Lahaina. We enjoyed a fun and delicious lunch at Cheeseburger in Paradise and then stopped to admire the magnificent Banyan tree near the old courthouse. sounds like a fun day! I remember visiting Lahaina while we were in Hawaii 9 years ago. No submarine ride, though - how cool is that??? Your vacation sounds like it was an amazing week. I know how hard it must be to return to reality! Oh this is just incredible!! I'm so jealous (in a good way) - I can't wait to go...hope I get to see all the same amazing things you are seeing. Such a great post! Your pictures are so beautiful--the color is amazing! I just caught up with your adventures in Hawaii!! What a blast, loved that you are keeping us updated. Soak it all in, girl...every bit!! LOVE the whole submarine thing. And seeing a SHARK?? Too cool. How fun! 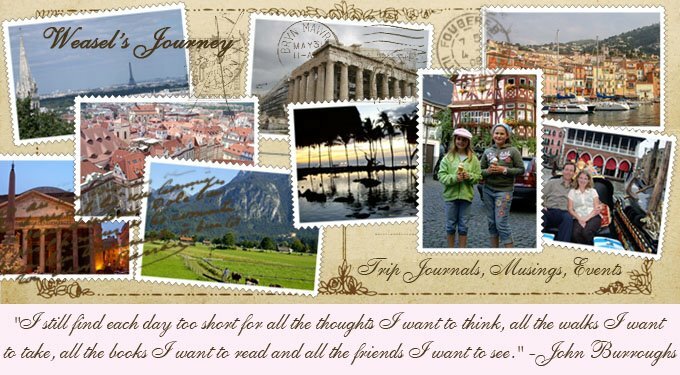 Thanks for sharing all of your vacay photos - so glad you had such a great time, Eloise!